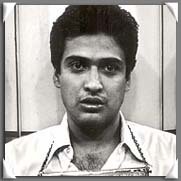 In one of the most comprehensive investigations ever undertaken about the execution of a possibly innocent defendant, Professor James Liebman and other researchers at Columbia University Law School have published a groundbreaking report on the case of Carlos DeLuna (pictured), who was executed in Texas in 1989. This "Anatomy of a Wrongful Execution" is being published today (May 15) in Columbia's Human Rights Law Review. Prof. Liebman concluded DeLuna was innocent and was wrongly convicted "on the thinnest of evidence: a single, nighttime, cross-ethnic eyewitness identification and no corroborating forensics." DeLuna maintained his innocence from the time of his arrest until his execution, claiming that the actual culprit was Carlos Hernandez, who looked so similar to DeLuna that friends and family had mistaken photos of the two men for each other. Prosecutors called Hernandez a "phantom" of DeLuna's imagination, although Hernandez was known to police and prosecutors because of his history of violent crimes, including armed robberies and an arrest for a murder similar to the one for which DeLuna was executed. Liebman's investigation found that Hernandez "spent years bragging around Corpus Christi that he, not his tocayo - his namesake and 'twin' - Carlos DeLuna, killed Wanda Lopez." The article is accompanied by a website at the Human Rights Law Review, which offers more information on DeLuna's case, including maps, videos, timelines, and primary sources from the investigation. (See A. Cohen, "Yes, America, We Have Executed an Innocent Man," Atlantic.com, May 14, 2012; M. McLaughlin, "Carlos De Luna Execution: Texas Put To Death An Innocent Man, Columbia University Team Says," Huffington Post, May 15, 2012; J. Liebman, et al., "Los Tacayos Carlos: Anatomy of a Wrongful Execution," 43 Human Rights Law Review 349 (2012)). See DPIC's list of those Executed but Possibly Innocent and Studies. Listen to DPIC's podcast on Innocence.